Welcome home! Come tour this lovely 4 bedrooms 3 bath home w/ additional Office/Den and 3 car garage in Lumsden Trace! Immediately feel at home upon entry with the easy flow & tranquility of this open floor plan. The kitchen includes **GRANITE COUNTERTOPS**, island bar, an abundance of 42" cabinetry, and large closet pantry. The **OPEN FLOOR PLAN** creates a very steady flow between the kitchen, family room, and back patio, perfect for entertaining! Large windows and sliding glass doors allow natural light to spill throughout the home. The spilt floor plan creates a private master retreat with a sprawling ensuite bathroom including granite counters, **DUAL SINKS**, large **SOAKING TUB w/ SEPARATE SHOWER** and **WALK-IN CLOSET**. The secondary bedrooms are generous in size and offer ample closet space. The large indoor laundry room includes plenty of cabinetry for storage. 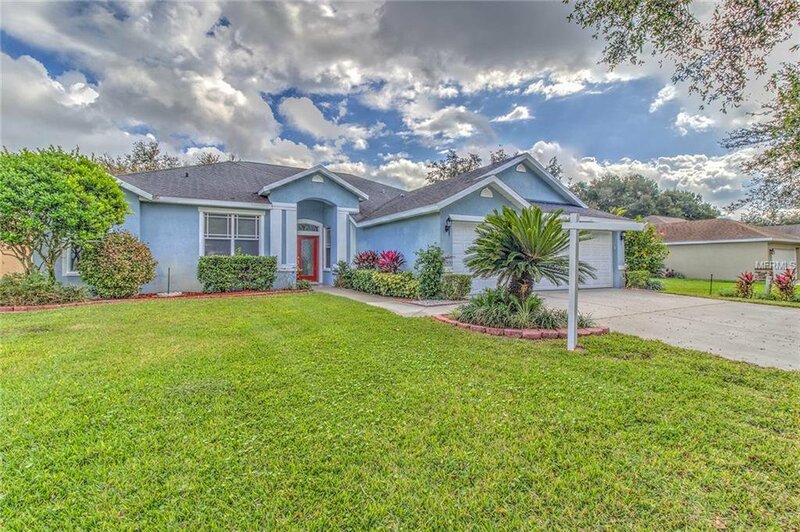 Host a family gathering or relax with a good book in your large screened-in back patio overlooking the lush beautifully landscaped private backyard. Enjoy the tranquil garden or snack on fresh fruit from your lemon, lime, and avocado trees! Off the back patio is a large **FLORIDA ROOM** or flex space. The Lumsden Trace neighborhood is centrally located with easy access to State Road 60, I4, I75 and The Crosstown Expressway. Listing courtesy of KELLER WILLIAMS REALTY. Selling Office: HOMEXPRESS REALTY, INC..